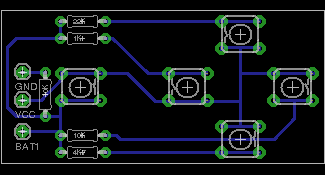 I heard and read A lot about the Micro minim osd board. 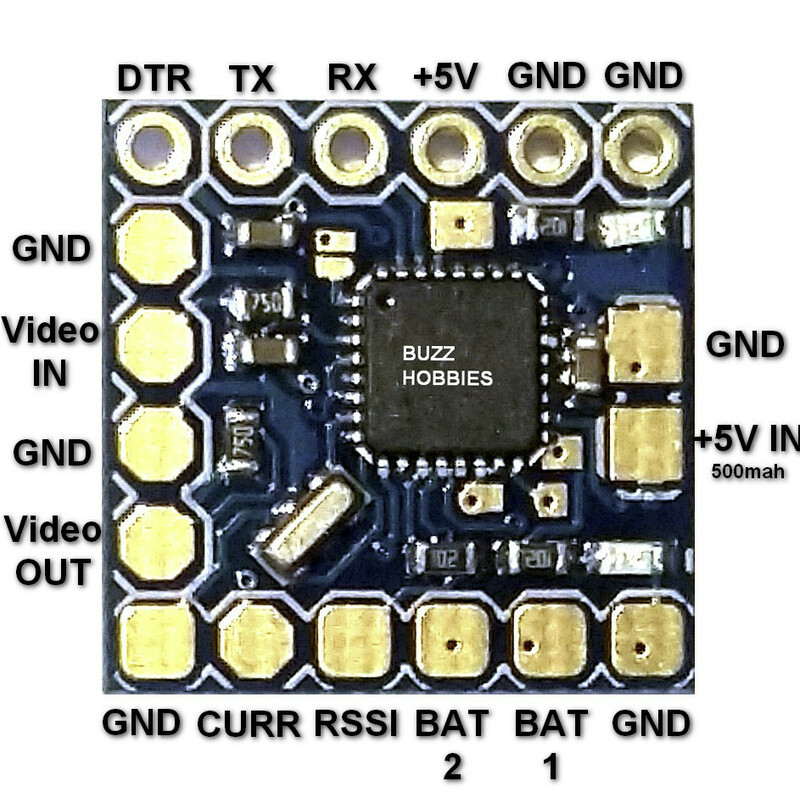 This is A small and cheap ($6.45) OSD board designed to overlay text on remote control airplanes. 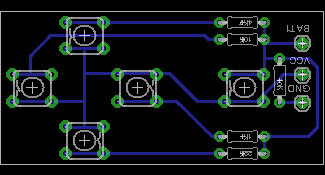 Actually it is an SMD Atmel chip on one side and A SMD max7456 chip on the other side. 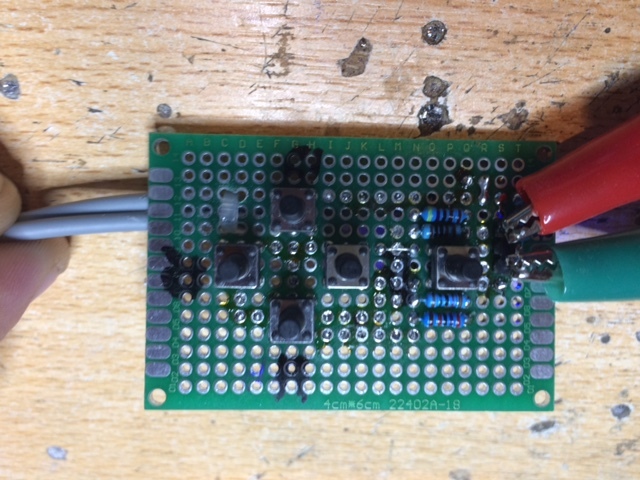 In DATV magazine 12 and 39 Mike Stevens G7GTN wrote about this board and he made some software to start your own project. The issue for me with this software is you have to open your case, plug in the USB>>TTL converter, find the latest version of you software, change the text and reprogram the Atmel. 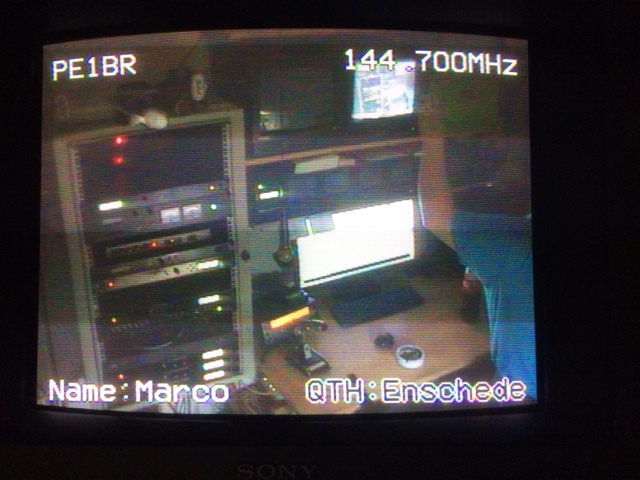 I want to build this OSD in every transmitter so I always have my callsign on screen whenever I am transmitting. I also use my transmitters at club events, Jota etc etc so I have to change my callsign a couple of times A year (club call, jota/J call and personal call) and sometimes I want to add text from wherever I’m transmitting. 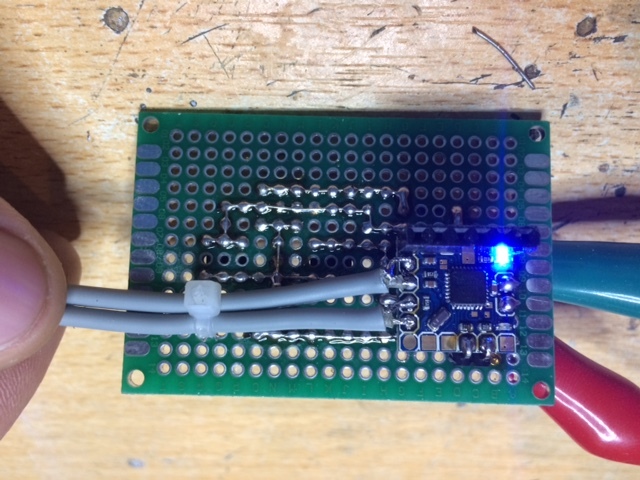 The OSD pcb has 2 analog inputs so with A couple of resistors and 5 buttons I made a small keypad to control the device. I mounted the OSD PCB under the keypad and connected everything together. But the result is there. 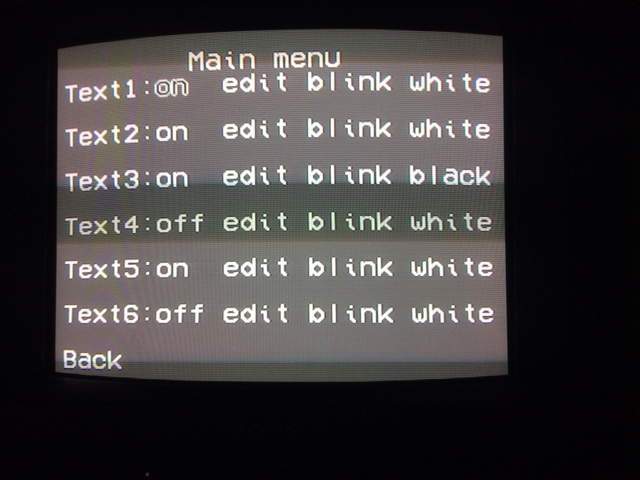 I can now edit 6 lines of text, turn them on and off, select blinking or steady, black or white letter. I can move the text to every position on the screen and everything will be stored to EEprom so my text will be remembered when I cold start the device. You need to upload the character file Mike Stevens G7GTN created and described in DATV Magazine 12 before you upload the arduino software. All software is distributed under the GNU/GPL licence. All hardware and designs are distributed under a Creative Commons license Attribution-ShareAlike 2.5.